The ancient gnomish city of Jzadirune was built 650 years ago by gnomish artisans working with Surabar Spellmason in his campaign against the hordes of the Demonskar. The dwarvish architech, Dromlin Mortarsblud, discovered the old dormant caldera that is now Cauldron City and suggested to Surabar that it could be a more defensible position than the more open Redgorge, with its wooden palisade walls. The industrious gnomes would not be outdone, and under the leadership of Baldo Stelunkin, they formed their own set of artisan workshops right on top of the dwarven Hold. The gnomes eventually named their massive expanse of workshops and foundries Jzadirune. Surabar built his military operation on the grounds level with Bluecrater Lake’s shoreline, eventually building right on top of the gnomish city. After the defeat of Nabthatoron, Surabar’s army and followers remained in what is now Cauldron. The gnomes of Jzadirune continued to thrive under Cauldron. With raw materials purchased from the dwarves below in the Malachite Hold and a large supply of customers above them in Cauldron, the gnomes were free to create tons of goods, from fine arts and clothing, to crafted metals, glasswork, pottery and elegant jewelry, the gnomes got comfortably rich off their endeavors. The gnomes of Jzadirune had a knack for alchemy, arcane spell research and even crude forms of technology. But the Jzadirune gnomes were truly masters at finding ways to combine their arts and talents to create wondrous items – both practical and functional, and bizarre. About 75 years ago, Jzadirune was struck by a horrible curse which they named The Vanishing. Suddenly, the busy and industrious gnomes began to literally fade away. It was never clear how it started or how to avoid the curse, nor was any cure ever discovered, but once contracted, the Vanishing caused its victim to slowly become insubstantial, incorporeal and just plain see-through. Sometimes the Vanishing would work quickly and other times agonizingly slow. But, the end result was always the same, the victim would eventually just completely disappear, never to be seen again. After hundreds of gnomes lost their lives to the Vanishing, the current gnomish king, King Beznod IV, ordered the city evacuated. Over the centuries, the gnomes had built tremendously lethal and ingenious defenses for their city and Beznod ordered all of the traps, giant gear doors and other defenses activated. As the last gnome left the city, Beznod himself stayed behind, tears streaming down his royal face as he bid goodbye. The Moonhowlers re-discovered Jzadirune during the quest to find the missing children of The Lantern Street Orphanage. Their search had led them to Ghelve’s Locks in Cauldron where they found a secret entrance to the old city. 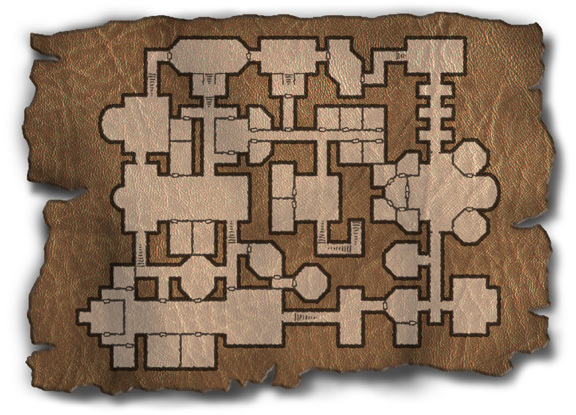 Knowing that they needed to find the Malachite Hold and that Jzadirune, at one time, had entrances to that old dwarven fortress, the ventured into the abandoned underground city. The Moonhowlers were also on the lookout for Starbrow, the rat familiar of Keygan Ghelve, which was supposedly being held prisoner by the band of kidnappers. The Moonhowlers discovered many wonders and riches in the city below the streets. They discovered the gnomes many ancient workshops and laboratories, a great dining hall and kitchen, a cathedral to Garl Glittergold, a theater, a grand bath, art rooms and barracks and even a throne room where they may have held audience with an old gnomish king. They also discovered many dangers – traps both magical and mundane, huge and dangerous gear-doors, the Vanishing and tilt-a-pit traps, they found skulks and dark creepers, a grell and fearsome raggomuffyns, they discovered a huge mechanical drilling monster and, of course, Yathaub – the current master of Jzadirune! In the end, the Moonhowlers looted the city of its riches and divested it of its fearsome creatures. They bested the traps and uncovered its secrets. Long live the Moonhowlers!